A fabulous Lake Powell View. 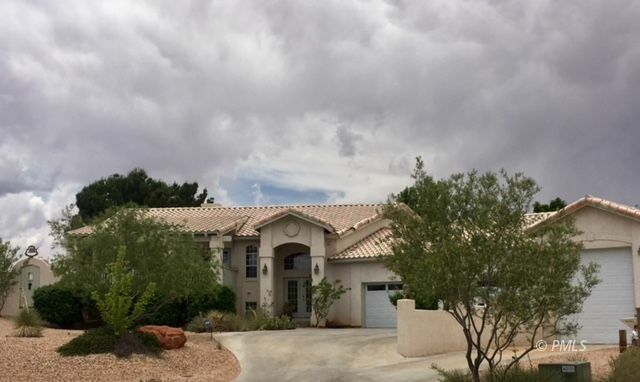 This spectacular three bedroom 2.5 bathroom tri-level home has three patio or deck areas which makes living the Lake Powell life perfect. The main level of the home features the living room area with upper stairs to either the master bedroom suite or to the family room, dining room, and kitchen. The upper deck is accessed from the family room. Down the stairs from the living room there are two bedrooms with another entertainment/office or fourth bedroom area. This level also has a large laundry and bathroom set up. Both of these bedrooms have access to the front walkout patio area. The amazing backyard features a spa and entertainment area and secret garden. Yes, it is an amazing home for anyone and everyone who loves the Lake Powell area. There is a double car garage with workshop and a RV/Boat garage with extra outside parking to store your Lake Powell toys. Please call me for a personal showing.